Are you a student and you want to impress your teachers with your assignment this semester? Then do not worry at all and invest your money in good projectors and buy them at the cheapest prices online to outshine your classmates this year. 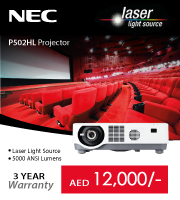 Buy Christie Projectors only from our online website, Projector Square. Christie projectors are very user-friendly and you can learn to operate them in no time at all. They are also undersized so as you can take them with you from one place to another with great ease. 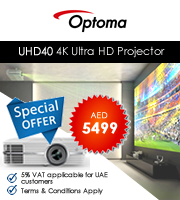 Christie projectors have become very popular in the areas like Dubai, Abu Dhabi, UAE, Kuwait, Jeddah, Riyadh, Saudi Arabia, Muscat, Oman, Doha, and Qatar in the recent years because of its affordability and efficiency. If you have any queries regarding our online products in Projector Square, write to us today. If you are in Dubai, Abu Dhabi, UAE, Kuwait, Jeddah, Riyadh, Saudi Arabia, Muscat, Oman, Doha, and Qatar, give us a call at +971 4 4327846.